The Nutritional Services department offers meal service for residential and day students from Sunday evening through Friday afternoon. Day students receive breakfast and lunch and residential students receive breakfast, lunch and dinner. Nutritional Services provides carefully planned and well-balanced meals that appeal to younger appetites and undergo a nutritional analysis by a registered dietician. Our staff are highly qualified in the ServSafe Food Protection Certification Program and are trained regularly on all changes and updates. Our friendly team of professionals assists our students in learning about nutrition through various traditions such as posters, training, food tasting, contests, and other fun activities. We incorporate our lessons into holidays, celebrations and special occasions, such as National School Breakfast Week, National School Lunch Week, and National Nutrition Month. Our dining room serves as a learning environment where students are encouraged to practice skills and nutrition knowledge that they have been taught in instructional and residential programs. 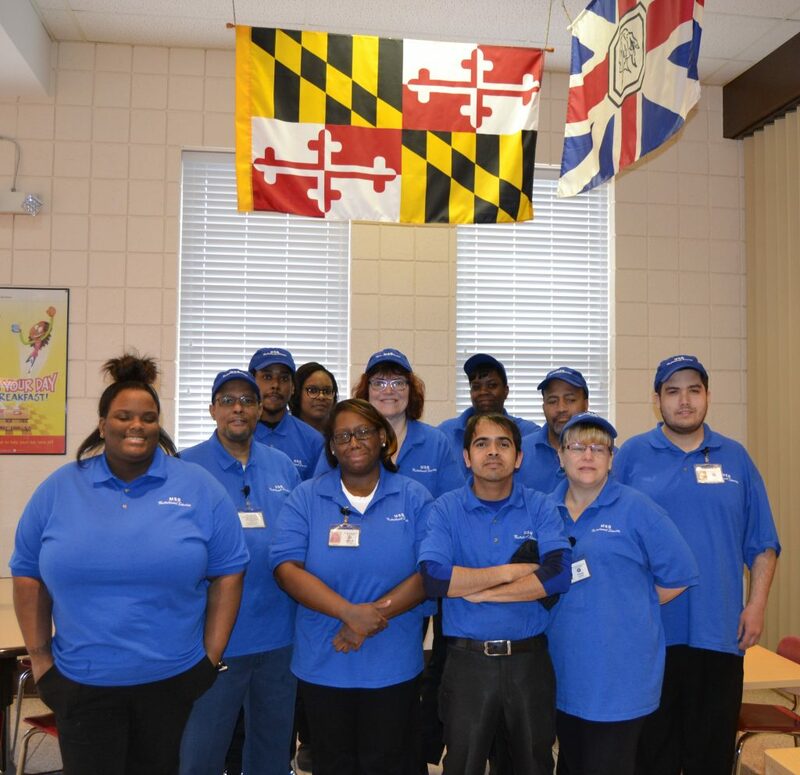 The Maryland School for the Blind is committed to enhancing the lifelong wellness of its students and staff through emphasizing the value of healthy nutrition and physical activity. To view the full policy click HERE.